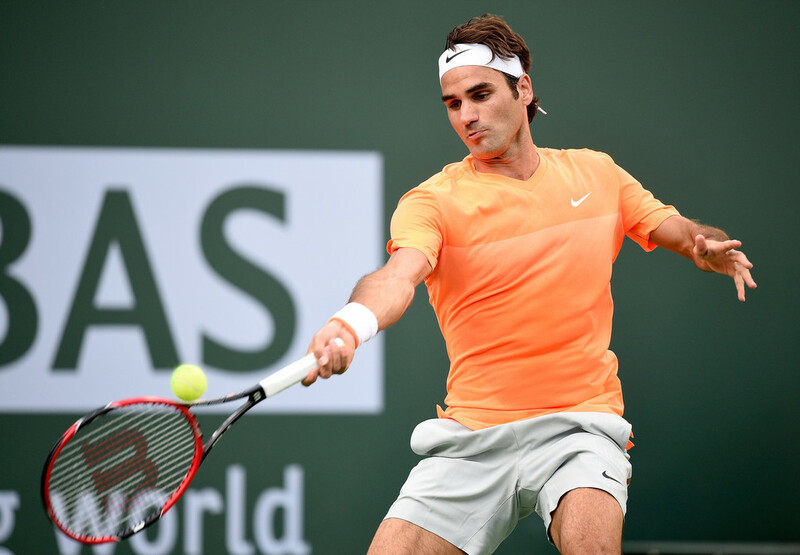 Roger Federer will have revenge on his mind when he squares off with Andreas Seppi in the BNP Paribas Open third round, after dismissing Argentina's Diego Schwartzman 6-4, 6-2 on Sunday. The World No. 2 hit eight aces, won 13 of 14 points at the net, and faced no break points in the 63-minute match. "It was important to get a good start. I had to stay focused and try to stay aggressive on the return which isn't always easy. It was a bit breezy and I had to be careful at times but it is good to get the first win," Federer said. Federer, who suffered his first defeat to Seppi in 11 meetings, at the Australian Open in January, is bidding to claim an unprecedented fifth title in Indian Wells. "I'm happy to play him again," Federer said of his next opponent. "I was very disappointed with the performance I had in Australia. I know he can play well and can beat me, that's not the problem. It was the way I was hitting the ball. I wasn't playing very committed. I wasn't sure exactly how I was going to hit my forehand and backhands. It was just a tough match overall and the match slipped away from me. "I really thought Seppi did a good job and nice job of putting the pressure on me, as well… I hope this time around it's going to go better for me. I will be prepared, there is no doubt about that. I'm happy I'm getting an opportunity to play him right away again." The champion in 2004 (d. Henman), '05 (d. Hewitt), '06 (d. Blake) and '12 (d. Isner), he is just two victories shy of 50 match wins in the California desert. Federer moved to 12-1 this year with his victory over Schwartzman and 2-0 in their ATP Head to Head series. He is seeking to add a Masters 1000 crown to his ATP World Tour 250 title in Brisbane and 500-level trophy in Dubai. Meanwhile, Seppi advanced to the third round in Indian Wells for the third straight year after dispatching Victor Hanescu 6-4, 6-4. The Italian needed just 73 minutes to complete the win, striking six aces and denying both break points faced.